Keeping your dog in the best physical shape is key to making sure they live a long and healthy life. Along with staying active, the type of food your dog eats is vitally important to maintaining their wellbeing. Dogs need a wide range of nutrients to stay in great shape and their nutritional requirements will be very different to yours. As well as the energy they need to stay active, they also need special vitamins and minerals to help look after their joints, skin and coat and care for their teeth. HOW CAN YOU TELL IF YOUR DOG IS IN GOOD SHAPE? Simply by looking at the visible signs. After all, you’re the best judge of what’s normal for them. Is their coat healthy and shiny? Are they alert and happy? In addition, with a little practice, you can examine your dog and assess their overall body condition. Look at your dog from above - they should appear to have a waist just in front of the hips. Then look at them from the side while they are standing - the abdomen (tummy) should be slightly tucked up. Then with gentle pressure on their sides feel for the ribs - you should be able to feel them, but they shouldn’t protrude. If you can’t feel the ribs at all, it might be time to speak to your vet about a weight management programme. Dogs digest food in around half the time it takes humans, so their diet has to deliver high quality nutrition quickly. One thing to look out for when buying dog food is the type of protein used. All EUKANUBA foods contain highly digestible protein from fresh and dry chicken, lamb or fish; plus carbohydrates, fats, vitamins and minerals. It also contains natural beet pulp fibre and prebiotic FOS to help balance digestion and promote healthy gut bacteria. A sign of good digestion is small, firm and consistent stools - this shows that your dog is getting the maximum benefit from their food, hence less undigested waste. Plus, of course, your dog’s energy levels and other signs (like the quality of their skin and coat) show that they are taking on the right levels of vitamins and nutrients. Regular exercise, along with complete and balanced nutrition will help keep your dog at a healthy weight, reducing stress on joints and muscles, while helping to keep them looking and feeling their best. Generally, larger dogs are more likely to experience problems with their joints than smaller dogs, but there are some things you can look out for in their food to help with this. 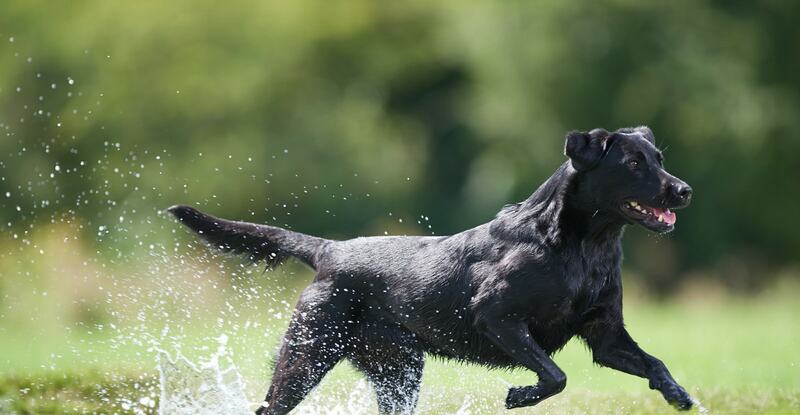 Glucosamine and chondroitin are two natural building blocks of healthy cartilage that, when found in your dog’s diet, can help support healthy joints by constantly replenishing the nutrients needed to repair and renew tissue. Always follow the guidelines provided on-pack by your pet food brand about how much to feed your dog. We recommend that you feed your dog twice per day, dividing the amount recommended for 24 hours by two. Consistently feeding your dog once in the morning and once in the evening will give your dog enough time to properly digest their food and also teaches your dog when its next meal will be on the way. Remember that different size digs will need different amount of certain nutrients, and dogs also need different diets for each stage of their lives. At EUKANUBA, we recognise that dogs have four distinct life stages (five in larger dogs) – Puppy, (Junior), Adult, Mature and Senior, and our foods are tailored to provide the right nutrition at each stage. Sometimes dogs deserve a little treat for good behaviour or learning a new skill. It’s a valuable way of reinforcing training and can help to distract your dog when you need to focus on something else. Make sure any treats you use are healthy and have a benefit for the dog, such as helping to keep their teeth clean. Most dogs are very happy with a kibble or two from their usual food as a treat.